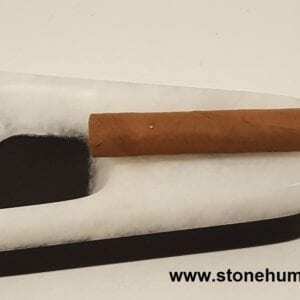 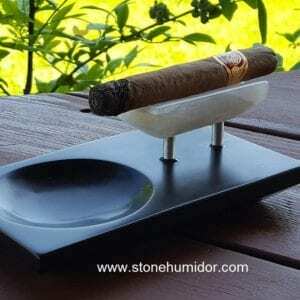 Looking for the best humidification, temperature and UV protection offered in my solid stone cigar humidors for other requirements? 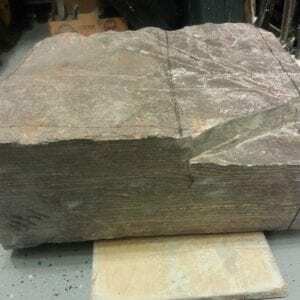 These solid stone boxes are the best in storage protection and use possibly as a weed box, stash box or cache. 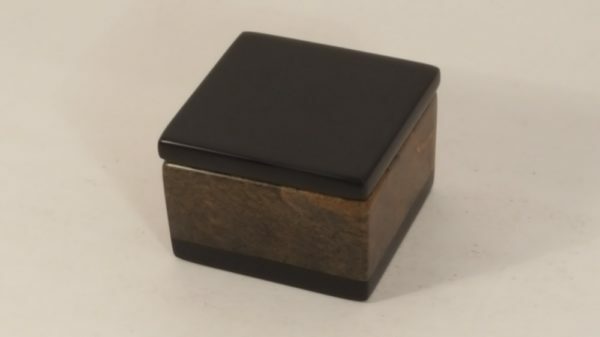 Why resort to an ugly old jar, when you can have a high end, exquisite looking display piece that you can show off and that provides better protection than a wood box. 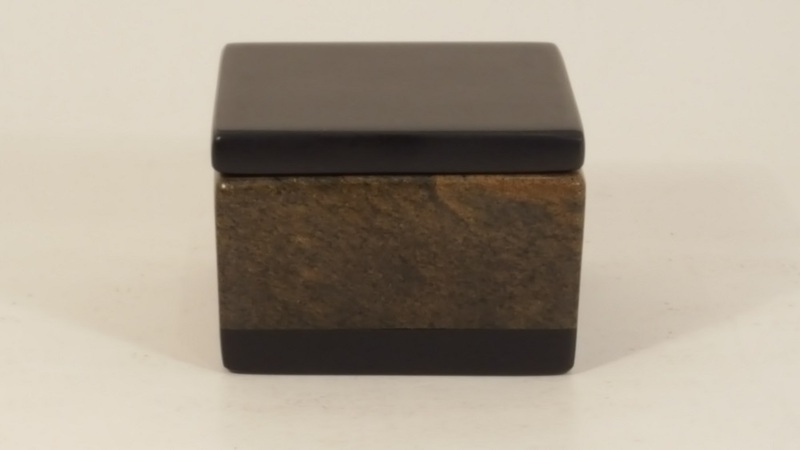 These are some artisan created hand carved stone boxes I presently have available. 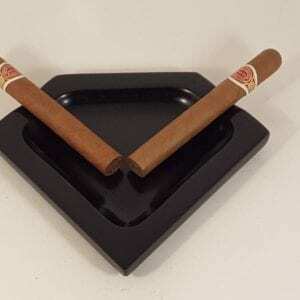 Custom sizes or designs can also be provided, just send me a contact request with your personal requirements. 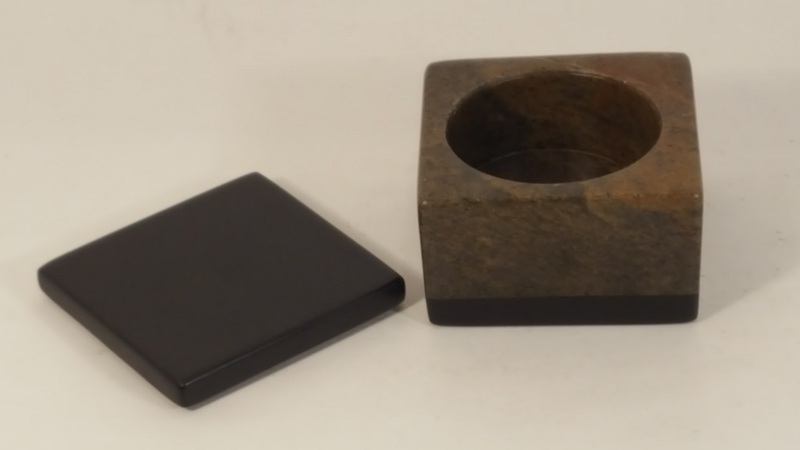 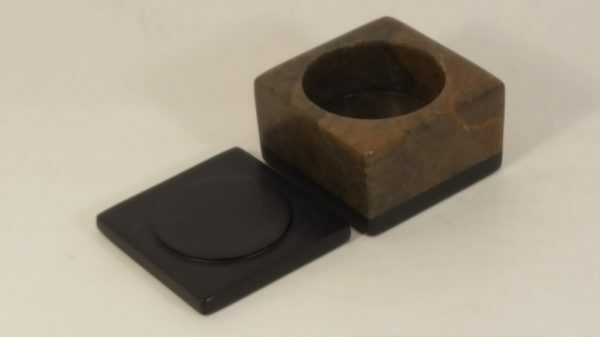 This stone box has a brown Soapstone main body, with contrasting black base made from African Wonderstone. 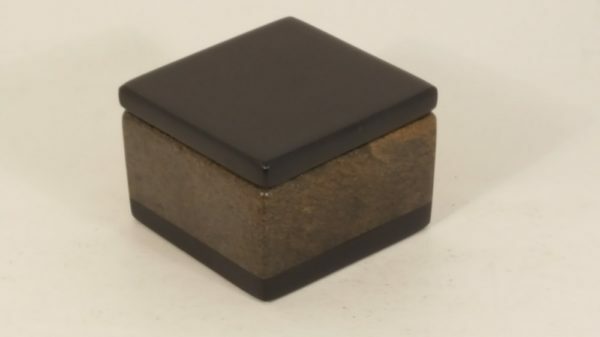 The sealed set in place stone lid is also made from African Wonderstone, providing a nice compliment of color shades in the overall design.